April 12 was already a huge day in space history twenty years before the launch of the first shuttle mission. On that day in 1961, Russian cosmonaut Yuri Gagarin (left, on the way to the launch pad) became the first human in space, making a 108-minute orbital flight in his Vostok 1 spacecraft. 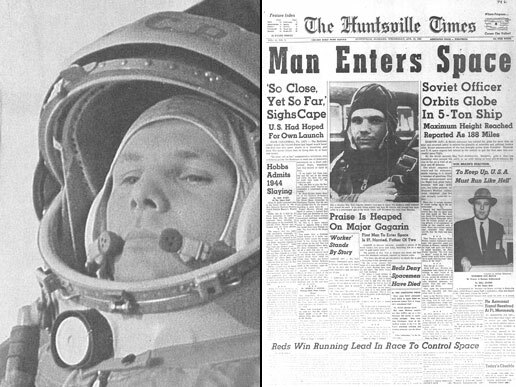 Newspapers like The Huntsville Times (right) trumpeted Gagarin's accomplishment.